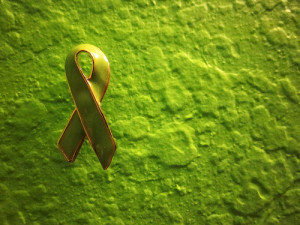 Despite years of lymphoma clinical studies, there is no known cure for this category of cancers. The two main types of lymphoma – Hodgkin’s lymphoma and non-Hodgkin’s lymphoma are differentiated by the presence Reed Sternberg cells. Only Hodgkin’s lymphomas contain this type of cell. It is an important distinction since they grow and spread differently. Although there is a lot we know about this disease, there is still a need for further study through lymphoma clinical trials. If you have been diagnosed with this type of cancer and are interested in participating in a lymphoma clinical trial please review the list below and find the one nearest to you. Lymphoma is a term used to describe cancer of the lymphatic cells. Lymphatic cells are part of the immune system and the cancers generally originate in the lymph nodes. There are many different types of lymphoma. One of the most well known is Hodgkin’s lymphoma named after Thomas Hodgkin who discovered the disease in 1832. Approximately 5% of all cancers in the United States are classified as lymphomas. People with an already weakened immune system are more susceptible to developing lymphoma. Symptoms include a decreased appetite, shortness of breath, fatigue, fever, and swollen lymph nodes. Treating lymphoma depends on the location and stage of the cancer. Stages are sometimes classified as distant, localized and regionalized. Distant lymphomas have metastasized, localized lymphomas are confined and regionalized lymphomas have spread to the regional lymph nodes. Mild cases of the disease can allow patients to live a normal life with a long life expectancy. More aggressive cases often require chemotherapy and radiotherapy. In some cases bone marrow transplants are also performed to help treat lymphoma. If a person’s response to therapy is poor their diagnosis is also poor; however, even in aggressive cases lymphomas are treatable.